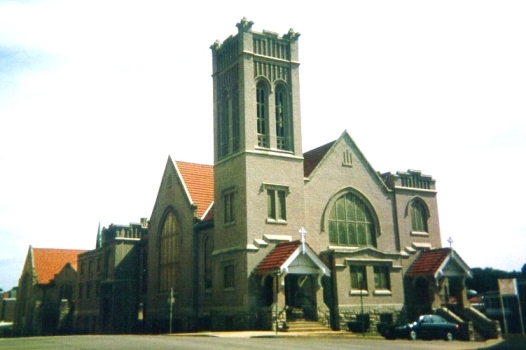 NEW LIFE FULL GOSPEL CHURCH, was built in 1910 by First Methodist Episcopal Church, which merged with Francis Street United Methodist Church in 1995. 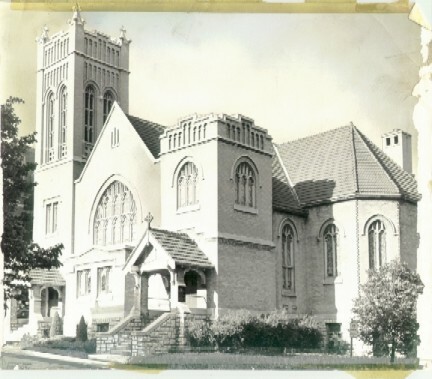 Designed by the prominent Cleveland, Ohio, firm of Badgely & Nicklas, the worship space and Sunday School Assembly Hall in this Gothic revival-style Akron Plan building are separated by a large door which disappears into the ceiling. 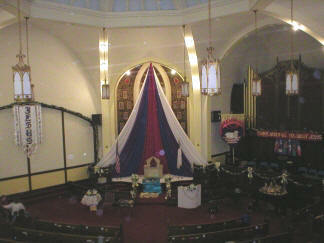 The two level Sunday school assembly hall features a square clerestory. The center of the sanctuary ceiling features a version of the Gothic fan-groin vault which incorporates a skylight, with incandescent light bulbs spaced along the beams in plaster rosettes. 1. 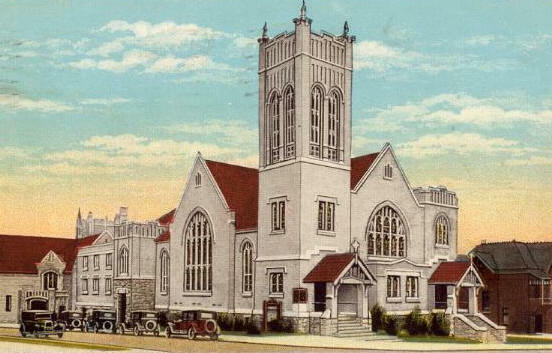 Completion of construction was celebrated by six days of dedicatory services in May 1910. Dr. Frank E. Day preached his first sermon as the new pastor on May 15, 1910. At his first glimpse of the church, he exclaimed, “Why it looks like a ‘White Temple’”, a nickname, which stayed with the building for the next 85 years. The pipe organ has been removed although the case remains.